and mantain it possible in this world. 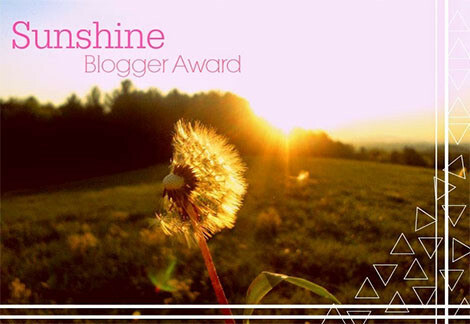 2ND SUNSHINE BLOGGER AWARD ~ TODAY! THANK YOU!! 2ND SUNSHINE BLOGGER AWARD ~ Today! THANK YOU SO MUCH! 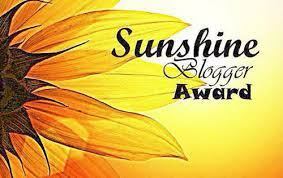 Enlightenment Angels (a/k/a “EA”) has been nominated for a 2nd “Sunshine Blogger Award” today. A huge thank you goes out to Shut the Negative Noise (a/k/a “STNNO”) located at https://emmaonegrete.wordpress.com/ for the award! You are so sweet and kind and I truly appreciate the award! XO my dear Angel! Thank the person that nominated you and link their blog to their post. Answer the 7 questions below. Nominate 7 bloggers that you admire and inform nominees by commenting on their blog. 2. When is the last time you’ve gone outside of your comfort zone? Mountaineering ~ and I loved it. 6. What is your favorite thing about blogging? Meeting and getting to help and/or reach new people from around the world and being able to correspond with them. I just love that as they are all wonderful. 7. What are your goals for your blog in 2016? I have many, but my health and happiness top the list! ALL of her followers! That’s right ~ YOU ARE ALL NOMINATED ~ AGAIN!! Always my Angels with LIFE, LIGHT, POSITIVITY, STRENGTH, BEING THE WARRIOR WITHIN, GUIDANCE, and LOVE! SUNSHINE BLOGGER AWARD ~ AND ALL MY ANGELS TOO! Enlightenment Angels (a/k/a “EA”) has been nominated for the “Sunshine Blogger Award.” A huge thank you goes out to Not Another Tall Blog (a/k/a “NATB”) located at http://notanothertallblog.com/ for the award! You are so sweet and kind and I truly appreciate the award! 1- How did you find my blog and what prompted you to click on “Follow This Blog”? 2- Now that you blog, can you imagine your life without doing it? Actually, I can’t. I’ve met such great individuals here that I have grown to love to keeping in touch with and/or communicating with that I would miss them. 3- What does your blog mean to you? My blog means enlightenment, uplifting, light and love. My blog means heart essentially. I do not just do this for me, but I do it for all of you! I do this to help, to send positive light and love to others, I do this because my heart is too big just to keep all of this in and for me alone. I truly Love all my Angels! 4- Can you describe your blog in one or two sentences? When life has you down or you find yourself at the end of your nerves, Enlightenment Angels is always here to send you light and love, lift you up to your higher self and remind you that you are always loved and reminded that you can be and do whatever it is that you want to do. You have all that power within!! 5- What would you ask Santa for (purely and selfishly!) yourself)? Nothing really. I am healthy and have great friends and family – what else do I need or want. I would give my turn to someone else. 6- Have you got a New Year’s resolution, and if yes, what is it? ALL of her followers! That’s right ~ YOU ARE ALL NOMINATED!! 1- How has your blog changed you? 2- Are you ready for Christmas and all its festivities? 3- Are you ready for 2016? 4- Do you have any specific plans for 2016? 5- How did you hear about or stumble upon Enlightenment Angels’ blog? Will you eat dessert first today? My dearest Angels ~ the time is getting nearer as we move upon Christmas 2015 and into the New Year of 2016. Though the days are getting busier as we prepare for the upcoming festivities, I wanted to take this time (so I do not forget) and tell you all how much I enjoy you, enjoy your blogs, enjoy our correspondence back and forth, and just to say that we here at Enlightenment Angels LOVE you all so very much and always wish you ALL the very best there is. You all have made my days lighter and whether you know it or not, have helped me though some struggling times myself. 🙂 You ALL brighten my days and place a smile on my face at night. With this I want to wish you ALL, my ANGELS, a very Merry Christmas and a very Happy & Safe New Year! WITH ALL MY LOVE & Always my Angels with LIFE, LIGHT, POSITIVITY, STRENGTH, BEING THE WARRIOR WITHIN, and GUIDANCE! Today I have the pleasure of introducing Historical Novelist Louise Turner. Welcome and thank you for participating. Please tell us a little about yourself as writer and as person. I was born in Glasgow in 1968, and I’m an archaeologist by profession: I currently work for a medium-sized commercial archaeology unit in the West of Scotland. I started out as a prehistorian – my Ph.D. research was on the Later Bronze Age metalwork hoards of south-east England – but these days my work is much more eclectic, including all sorts of things including historic building surveys and industrial archaeology. That’s certainly not what I anticipated when I graduated from uni!